MetaMask makes Dapp adoption quick and easy because we host a blockchain connection by default, and our trusty friends at Infura do an amazing job making this experience feel totally magical, most of the time! Sometimes, some dapp usage has grown much faster than we've been able to anticipate, and so MetaMask's default provider connection can become intermittent. Sometimes we have to limit abusive sites. 1. Wait and be patient. 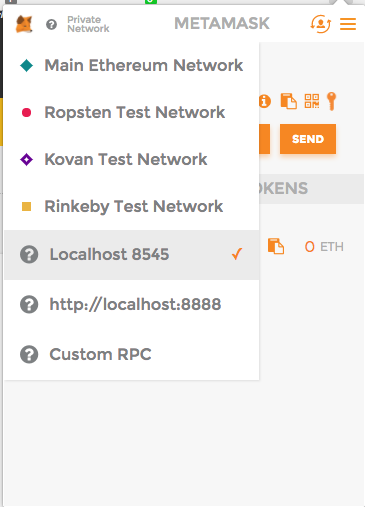 To connect, you'll need to run a local RPC server, and then connect to it with MetaMask's provider menu (in the top left corner).